Bacon Weave Pizza! Love bacon and pizza? 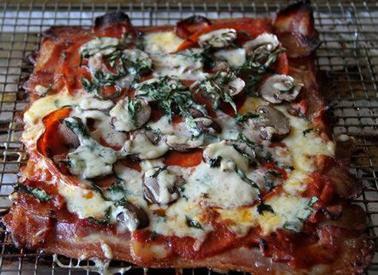 Then this is for you: the Bacon Weave Pizza, which uses a lattice of bacon instead of dough!